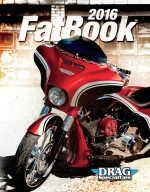 Milwaukee Bagger offers motorcycle replacement rear fender kits from 2009 and more recent years. Take a look at recent custom Harley rear fender kits for your motorcycle. These are classic modifications for your Harley Davidson that have been popular for years. Made of premium quality materials, these are exactly what you need to replace old or damaged factory units. Get a new style replacement rear fender right here. All you need to do is take a look at our fenders and determine whether you’d like one with or without a lighting system. If you’re looking for a Harley Davidson replacement rear fender that is stylish and easy to install, check out our selection. We have both dual, two in to one and no exhaust options for your a rear fender. New Replacement rear fender with Frenched in License Plate includes custom fender strut covers. For 2009-UP Harley Baggers. We offer this rear fender two ways, with a cat eye lighting system or without a lighting system you choose. Designed to be used with your stock Back Rest, Tour-Pack and with or without stock antenna. Rear Fender 2009-2019 No Exhaust Openings. Rear Fender 2009-2019 Dual Exhaust Openings. Rear Fender 2009-20195 2 X 1l Exhaust Openings.Designed to give more room for the use of 10" Plasma Rods on the sides. Replacement Rear Fender 2009-2013 No Exhaust Openings: Cat Eye Lighting System. Replacement Rear Fender 2009-2013 No Exhaust Openings. All mounting holes and a seat stud. Replacement Rear Fender 2009-2013 Dual Exhaust opening: Cat Eye Lighting System. All mounting holes and a seat stud. Replacement Rear Fender 2009-2013 Dual Exhaust opening. All mounting holes and a seat stud. Replacement Rear Fender 2009-2013 2 into 1 Exhaust opening: Cat Eye Lighting System. All mounting holes and a seat stud. Replacement Rear Fender 2009-2013 2 into 1 Exhaust opening. All mounting holes and a seat stud. Designed to be used with your stock Backrest , Tour-Pack and stock antenna. Replacement Rear Fender 2009-13 Boomcan Dual Exhaust Opening: Cat Eye Lighting System. All mounting holes and a seat stud. New custom replacement rear fender with Frenched in License Plate includes custom fender strut covers, Smooth back no lights. 6 built in LED lights for license plates Measuring 7 1/4"x 4 1/4 "horizontal"